While on Assignment for AGROS International Don Mirra spent a month photographing remote villages of Nicaragua, Honduras and El Salvador. 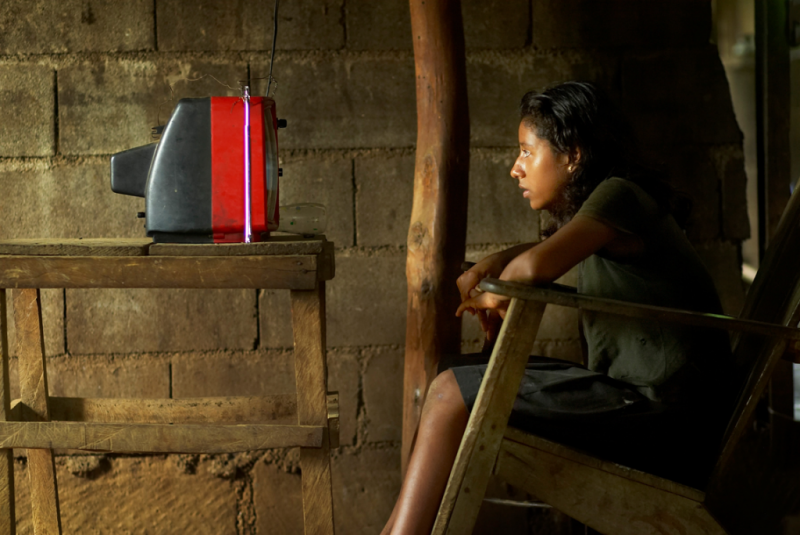 While in Nicaragua, he encountered this young girl who was watching a battery powered television. Like most of the rural poor in Central and South America, this television was one of the first household item bought when they had the money. Our enchanting world is much larger than the narrow field of view I experience on a day-to-day basis. As an artist, I am compelled to broaden this view by telling the stories of the people and the life surrounding me. Through the tool of the camera and the discipline of visual story telling, I seek the stories and images that broaden our perspective and challenge the limits of preconceptions. I often live with the people I photograph. I sleep where they sleep. I eat what they eat. Sometimes I follow them to work. In time, most open up to me, and I learn about the landscape of their inner journey. This level of connection brings to light a larger story, and if done well-I pray- a greater truth.